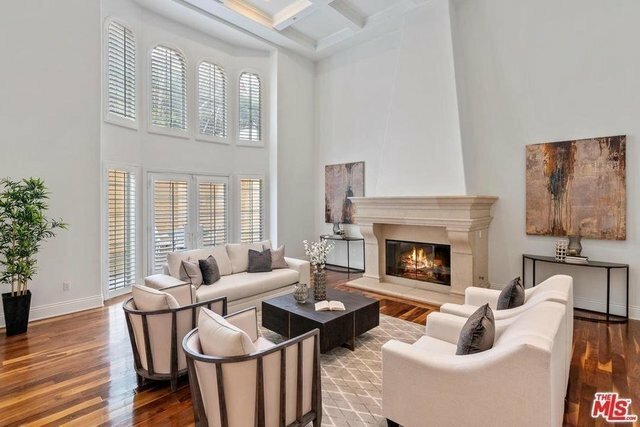 Introducing this one-of-a-kind townhome in prime Westwood-Century City! Nearly 4,000 sqft of living space offering all of the luxuries of a single family home. Featuring 3 bedrooms, each with its own private balcony and en-suite bath. The grand living room features dramatic 20-foot ceilings, the gourmet kitchen is outfitted with Viking appliances and a Sub Zero fridge. The attention to detail is apparent in custom moldings, coffered ceilings and the hardwood and stone floors throughout. The stunning, palatial master bedroom is the perfect retreat with three custom closets. The adjoining master bath features double sinks, a large marble shower, and an oversized tub. The other amenities include an upstairs laundry room with washer & dryer, 2 side-by-side parking spaces in the garage, a storage room, and a large patio perfect for entertaining. With access to renowned Westfield Century City, UCLA, Beverly Hills, and the rest of the Westside, this is truly a luxurious, statement of a home!